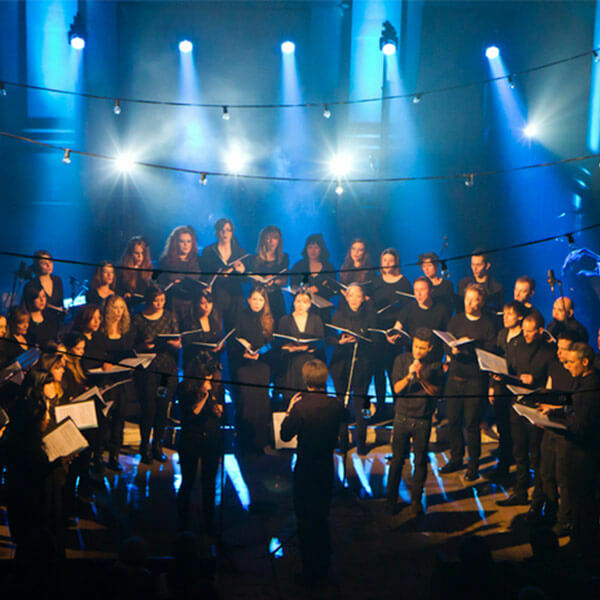 Contemporary Voices are London’s leading alternative choir. They specialise in work with bands, including gigs, recordings and festivals. They have worked with artists including Sam Smith, James Bay, Marcus Mumford (Mumford & Sons), Joss Stone, Alt-J, Basement Jaxx, Laura Mvula, Imogen Heap, Nitin Sawhney, Nicole Scherzinger, Newton Faulkner and many more. Ten of Contemporary Voices collaborators have been nominated for Grammy awards. Contemporary Voices have performed at world class venues including The O2 Arena, the Royal Albert Hall, Barbican, Royal Festival Hall, The Roundhouse, Somerset House and the Union Chapel, and at festivals including Bestival, Reading, Latitude, Wilderness, Secret Garden Party and iTunes Festival. They have appeared on BBC Radio 1 Live Lounge, BBC 1 Wales, Channel 4, E4, ITV2, Capital FM and BBC2’s Later with Jools Holland.